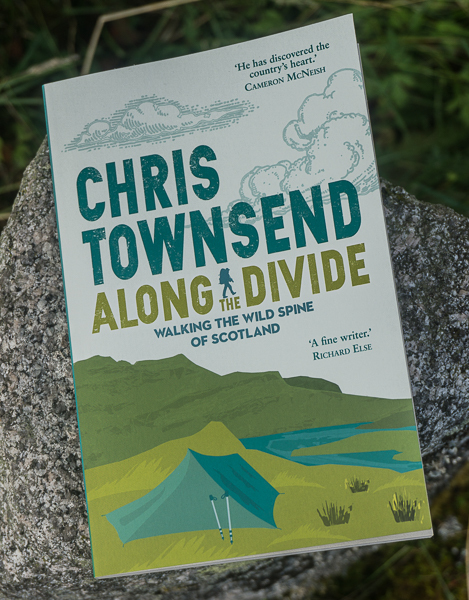 The future of wild land in Scotland is at a crossroads. Recent statements and events suggest that the next few months, perhaps just the next few weeks, will determine how much wild land will survive and whether wind turbines with their accompanying power lines and bulldozed roads will destroy even more than they have already. Back in 2009 Scottish Natural Heritage (SNH), the government body meant to look after the landscape, stated that the area of wild land in Scotland had dropped from 41% in 2002 to 28% and that wind turbines were the main cause. SNH are supposed to be producing an up-to-date map of wild land which they have been working on for over two years. This week a committee of Members of theScottish Parliament (MSPs) will meet with SNH to ask how the mapping is progressing. 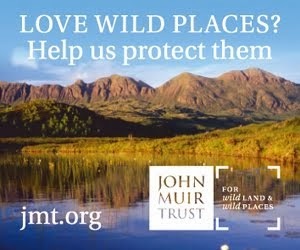 This follows a debate in the Scottish Parliament on a petition from the John Muir Trust (JMT), one of the leaders in the campaign for wild land. This mapping is crucial as it would determine which areas need protection. This may seem obvious to those of us who go out into the hills but for the purposes of designation lines on maps are required. At the same time in a piece for Walk Highlands (who report regularly on wind farms and wild land campaigns) Cameron McNeish says that he has seen the initial mapping and that the area of wild land is still around 28%. Cameron also says that as a Scottish National Party (SNP) member he has had conversations with First Minister Alex Salmond about wild land and that he “is not averse to the idea of setting up turbine-free areas in Scotland”. This sounds promising and would be a good political move for Salmond and the SNP, especially as this is the Year of Natural Scotland which should really have conservation at its heart if it is to have any meaning. Any move to protect wild land, only a third of which has any statutory protection, needs to be done soon as wind farm applications are coming in thick and fast and some that would be disastrous if built have been given the go-ahead by local councils. In particular this applies to the giant 67 turbine Stronelairg wind farm proposed for the Monadh Liath hills above Fort Augustus and the Great Glen which was approved by Highland Council recently and Glencassley wind farm in Sutherland which will be considered by Highland Council soon. The final decision for these huge industrial developments lies with the Scottish Government. If Ministers are serious about protecting wild land and about the Year of Natural Scotland then all such wind farms should be rejected. Setting up designations to protect wild land, something that could be a long drawn-out bureaucratic process, needs to be done quickly. Expanding National Scenic Areas that already exist could be the answer in the short term. 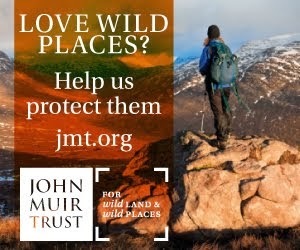 Over a longer period more national parks have been proposed by the Scottish Campaign for National Parks (SCNP) and the Association for the Protection of Rural Scotland (APRS) covering The Cheviots, Galloway, Glen Affric, Harris, Mull and parts of Lochaber including Ben Nevis and Glencoe. I’d expand that greatly to include virtually all the Highlands, including Skye. At this crisis point for wild land the balance could easily be tipped either way. To push it towards protection and conservation contacting Alex Salmond and the Scottish Government to call for turbine-free areas is well worth while. It can be done here and here. Every little bit really can help and time is short. If we want wild land in the future we have to make an effort to save it now. Would a word from the USA be of any help? I'm sure it would Bill. Thanks. Here is my windmill world in the USA. Turbines have no place in any part of Scotland. We don't get a usable, useful, cheap or green form of energy from them. One nuclear station like Hinkley in Somerset (which will power 5,000,000 homes) would give Scotland's 2,000,000 homes ample power. A few gas stations would also be needed, but then that would be that. Our energy sorted out in a clean, green, cheap, reliable and safe way for the next 100 years plus. Whilst the SNP pursues this mad policy, though, people such as yourself must argue for land to be protected. The views from that land must also be fully protected. Applications like Sallachy must not be allowed to go through (http://wam.highland.gov.uk/wam/applicationDetails.do?activeTab=summary&keyVal=LWLXPUIH0A000). The only thing we get from turbines is fuel poverty, a loss in tourism, dead birds and bats, massive electricity prices, CO2 storing bogs destroyed, Beauly - Denny, a few very rich people and health problems. The madness must stop. However, the only party in the UK who will do this are UKIP. As a lifelong labour voter I find that sad. But I value the land more than anything so I have no option but to abandon them. Personally, I favour linking up the NSAs in the NW Highlands - this would protect the land from Cape Wrath to Oban. The views from this land would also then need to be protected. For me the reliability issues need to be addressed before we stick turbines in high and difficult to reach places, regardless of the eyesore factor. Rather than install and forget these sites will be subject to ongoing activity throughout their lives. "My conclusion so far is that unfortunately Germany's 'renewables revolution' is at best making no difference to the country's carbon emissions, and at worst pushing them marginally upwards. Thus, tens (or even hundreds, depending on who you believe) of billions of euros are being spent on expensive solar PV and wind installations for no climatic benefit whatsoever. Although I have been unable to find clear figures for the changing CO2 intensity of German electricity (if anyone has them, please post in the comments below), nuclear's fall of 1.7% almost exactly equals the rise in renewables of 1.6% between 2011 and 2012. This means that the dramatic and admirable increase in renewable generation in Germany is simply a story of low-carbon baseload from nuclear being replaced by low-carbon intermittent supply from wind and solar (which, incidentally, also raises system costs by making the grid harder to manage due to intermittency). The Energiewende, it is probably fair to say, is not really about the climate at all. It is about getting rid of nuclear power, a singular obsession of the German Greens since their birth in the European anti-nuclear movement 1970s. With Germany the only Western European nation still intent on building a large amount of additional coal generation capacity (10GW according to some reports), this marks a remarkable policy failure for European environmentalism." Let's not follow in their footsteps. Mr Lynas also does not acknowledge that those benefiting the most from Germany's move to abandon nuclear energy are power plant operators in neighboring countries - France/ Czech Republic/ Poland. It is boom time for them. So, once again, we have plenty of evidence that wind is not needed in Scotland. Also, wild land is only a fraction of the scenic landscape in Scotland. Stunning tracts of farmland in Southern Scotland have been trashed.